However, rather than condemning Barr Leo Ekpenyong for taking this course of action, one must thank God that through his petition an opportunity is granted us to clear a lot of misconceptions. Those opposed to Akpabio’s emergence and leadership of the state had fed the rumour mill in Akwa Ibom State (a fertile ground for gossip and rumours) with the most horrendous lies – some of which constituted the corpus of the petition – before and after the election. Since truth has nothing to fear from falsehood, we are happy that these lies have found their way into the public domain. Our duty now is to lift the veil on them and show them for what they are – falsehood. The petition betrays a lack of understanding of the workings of government. Every sum withdrawn from a government account is tied to a subhead, and there must be a budgetary provision. To attribute fraud to withdrawals, which had the full sanction of Government, and was accommodated in the budget is strange, mischievous and untenable. More so, when one understands that there are checks and balances, which guide all aspects of government financial administration. Please do note that the idea that the Akwa Ibom State Government received over N2.5 trillion (or N3 trillion) in the eight years of the Akpabio administration is an outrageous lie. What this lie suggests is that the Akwa Ibom State Government received an average of N26 billion monthly for the period. What a lie! Published accounts of disbursement from the Federation Accounts, corroborate the evidence that Akwa Ibom State never received up to N26 billion in any month throughout the Akpabio years. Note that in some months like April and May, 2015, Akwa Ibom State received about N8 billion only. The allegation that the State Government spent N50 billion on the March General Elections falls on its face in the light of the preceding paragraph. There was no such provision in the budget of this year and such an amount could not have been paid as an extra-budgetary expenditure and yet salaries and other commitments were met. We challenge the petitioners to provide proofs to support this wild allegation. Who was it paid to? How was it paid? Where was it paid? And when was it paid? It should be stated that the subject of this petition, His Excellency Chief Godswill Obot Akpabio, CON, is a seasoned lawyer who understands the workings of the law. He was called to the Bar in 1988, and was in private legal practice for many years and rose to the high rungs of Corporate Nigeria before venturing into politics. Therefore, he is conversant with the demands of accountability and transparency in governance. He was never found wanting in these areas. It is unfortunate that the name of Dr. Okonjo Iweala, former minister of finance has become a reference in the swansong of the opposition to deride the legacies of the Akpabio administration, and make false accusations about accountability and transparency of his administration. It was alleged that she said at a convocation that what Akwa Ibom State Government has used in the uncommon transformation of the state did not amount to up to ten percent of the state’s revenue from the Federation Account. For the avoidance of doubt, Dr. Mrs Okonjo-Iweala, Finance Minister at the material time, categorically denied making the statement credited to her about Akwa Ibom State. She made public the transcript of what she said, and stated that she could not have made such a faulty, unfair and unbecoming statement about a State Government. Consequent upon her disavowal of the statement, the State Government considered it pointless to join issues, and rather simply drew attention to her denial of the statement. The opposition chose to ignore her stout denials, and opted to go ahead with their invention of what she never said. It should be noted that contract administration in the Akpabio Years followed due process. A body known as the Finance and General Purpose Committee (FGPC) headed by the Secretary to the State Government, with members drawn from leaders of key project ministries and a seasoned lawyer as its secretary, was in charge of processing and awarding contracts. This ensured that due process was followed. The cost of every project undertaken by the administration was usually publicised at the start of the project. But the actual cost depended on the performance of the Naira against the Dollar (the world’s de facto economic denomination). The Akwa Ibom State House of Assembly vetted every budgetary proposal, as constitutionally required before passing them. The budgeting plan of 80 per cent capital outlay and 20 per cent recurrent outlay was the vehicle used to drive our uncommon transformation of Akwa Ibom State. Based on this successful budgeting regime, the State House of Assembly passed a motion of confidence and appreciation on Chief Godswill Akpabio, CON. It bears mention that contrary to the information peddled in the petition; the State Government never diverted Local Government funds. Local Governments disbursed their funds through the Joint Account Committee. All Local Government projects were also approved by their local councils and they also managed their funds. On the Chairmanship of the Association of Local Government Chairmen (Algon), The chairmen of local government areas themselves decided who became their chairman. This had nothing to do with the Akwa Ibom State Government. It was regrettable that the petition claimed that Senator Akpabio owned shares in Julius Berger Plc. Senator Akpabio does not have any share in Julius Berger (either directly or by proxy). 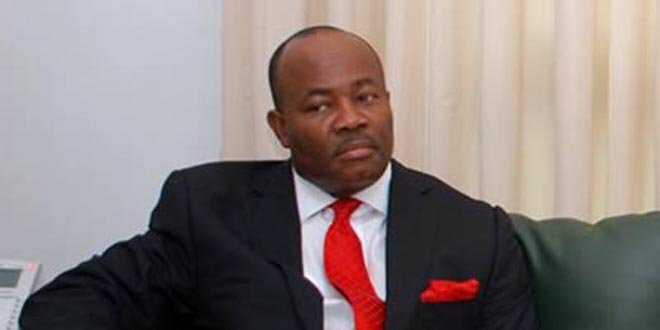 Senator Akpabio does not have any interest or shares in Nestoil as alleged by the petitioner. Senator Akpabio does not own a 25-storey building in Victoria Island or in any part of the world, as alleged by the petitioner. Julius Berger was hired in the construction of key projects in the state on the basis of their competence and their job quality. To their credit, they built durable and enduring infrastructures in the state including the Government House complex, (Governor’s lodge, Deputy Governor’s lodge, Banquet Hall, Governor’s Office, Press Centre, Guest Houses, Power and Maintenance plants) several flyovers, the new Akwa Ibom International Stadium, three underground drainage system, covering over 10 kilometres, dualisation of Ekom Iman-Idoro-Itu road with bridges, dualisation of Ekom Iman-Abak road with a suspended bridge over a ravine, dualisation of Uyo, Ikot Ekpene Road, amongst others. It is laughable to claim that Senator Akpabio owns a N7.5 billion house in his hometown, Ukana. The Senator resides in a four-bedroom duplex house in a family compound. In the said compound there are up to 20 other family members with their houses accounting for the other spaces in the land inherited from their forebears over fifty years ago. It is also a patent falsehood that the house at 22 Probyn Road, Ikoyi belongs to Senator Akpabio. It is a rented building which ownership can be verified from Lagos State Land Registry. Senator Akpabio does not own the properties in Abuja mentioned in the petition to belong to him. You can verify the ownership of the properties (5 Okokosi Close, Maitama and Plot 28 Colorado Close, Maitama) from the land registry in Abuja. Contrary to the statement in the petition, Senator Akpabio does not own any property in Ghana or in St. Kitts & Nevis. We challenge anybody to prove to the contrary. He was invited to attend the inauguration of the current President of Ghana as a member of the Presidential delegation from Nigeria. Many other Governors and Nigerians were on the delegation. He was also invited to attend the 30th Independence Day celebration of St. Kitts and Nevis by the then Prime Minister who visited the State on a working trip to Nigeria. One wonders how simply visiting a country could translate into owning properties there? It is, however, true that Her Excellency, Mrs Unoma Godswill Akpabio, the former First Lady, developed a Kindergarten school in Uyo. This school was developed through loans sourced from verifiable financial institutions and her personal income. Ekaete Unoma Akpabio graduated in Education Accounting and has NEVER hidden her love and passion for education of our children. The petitioner mentioned Senator Akpabio’s cousin, Sir Emem Akpabio, who is a Senior manager at Shell Petroleum Corporation, without any direct allusion to his involvement in governance. He merely claimed that Sir Emem Akpabio is extremely wealthy and imagines that he is wealthy from Government patronage. This is another regrettable lie. Suffice it to say that Sir Emem Akpabio has worked in Shell for a long time and could account for his assets based on his income. Talk of his alleged stupendous wealth is however ludicrous. The petitioner claimed that many persons who served in the Government were now “billionaires.” He mentioned some by name and even included some members of Senator Akpabio’s larger family. The mentioned persons are alive and could answer to these curious allegations. But suffice it to say that this, like other allegations, are completely false. One is not aware of any billionaire in the ranks of those who served the Akpabio administration from 2007 to 2015. It is baffling that anyone could conjecture that a serving Governor could use his State’s resources to fight for the impeachment of the governor of another state. Given how deeply tribal sentiments run in the country, members of the House of Assembly of another state would NEVER take instructions from a Governor of another state and tribe to fight their brother either by taking money from any interloper. Nigeria may be corrupt but “blood is still thicker than water”. As Governor, Senator Akpabio never got involved in such intra-state squabbles – though the contending parties from time to time appealed to his office then as the Chairman of the PDP Governors’ Forum for mediation and reconciliation in the party interest. The case of Nassarawa is laughable as the state was not a PDP state and Akpabio NEVER met with any of the contending parties in the crisis nor was he invited to any meeting ever connected with Nasarawa State. One more reason one is happy with this persecution (petition) is because Jesus Christ said, “Blessed are ye, when men shall revile you, and persecute you, and shall say all manner of evil against you falsely, for my sake. Rejoice, and be glad: for great is your reward in heaven; for so persecuted they the prophets which were before you.” Leadership is from God and leaders represent God on earth. As Governor, Senator Akpabio showed uncommon commitment to working with God and letting the will of God be done in the state. Senator Akpabio in his years as Governor of Akwa Ibom State did nothing of a deliberate or malicious nature that could possibly be construed as an abuse of public trust or misappropriation of funds. Rather future generations of Akwa Ibom children shall appreciate and remember Akpabio for his selfless contribution which took them back to God (broke the Guinness World Records by assembling the largest Choir on planet earth), built enduring infrastructure – over 36 new bridges, over 2000 kilometres of roads, 6000 rural projects, completed the Ibom power plant, Ibom International Airport, Tropicana Shopping Mall with six cinema studios, ongoing 15 storey 250 bedrooms Hilton Hotel, built and completed a brand new best designed Sheraton by four points 14 storey Hotel, built and completed a quaternary Hospital at Itam with international standard facilities 4 floors with basement laboratories, five cottage hospitals, ultra-modern 4 storey e-library complex, free and compulsory education for 7 years, free medical treatment for children up to age 5, pregnant women including free delivery and the retirees. Others include the best designed over 30,000 capacity international stadium with dedicated power plant and ancillary facilities, etc. We shall ever value Akpabio for changing the psyche of our people through uncommon performance in governance. The opposition has, in their desperation and frustration, crossed the line of decorum, truth and decency with their torrents of propaganda and blackmail. We are glad, however, that the petitioner has afforded us the opportunity to ventilate their falsehood with the flit of truth. We extend our kind regards to all our compatriots and the petitioner. Thanks for reading "Re: Petiton Against former Gov. Godswill Akpabio". Put your comment below.